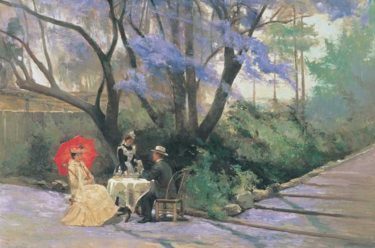 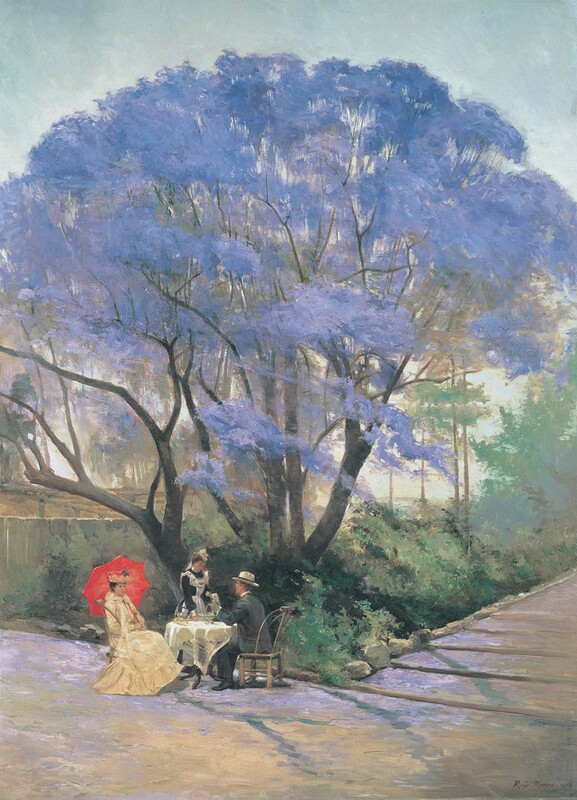 Paintings of jacarandas in bloom have become a popular and appealing subject for Brisbane artists, the most famous image of the jacaranda is R. Godfrey Rivers’s painting Under the jacaranda, which has achieved enormous popularity since it was painted and acquired by the Gallery in 1903. 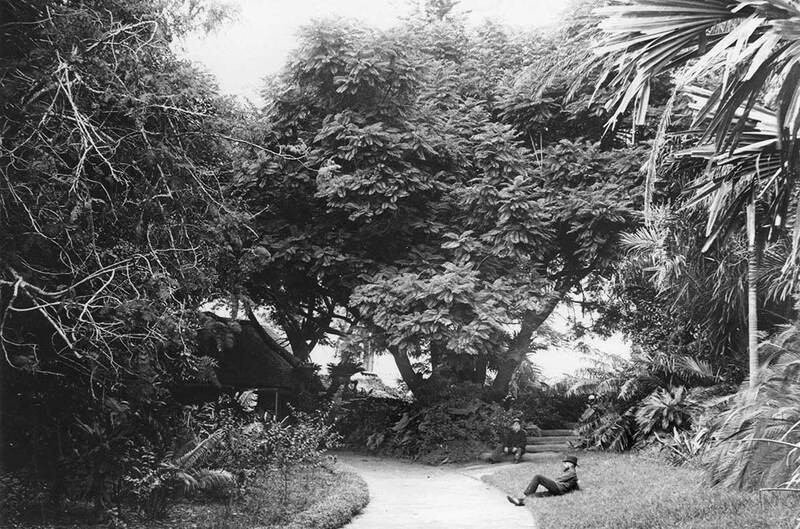 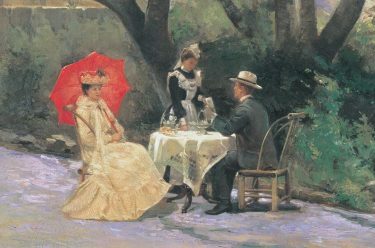 The image depicts Rivers and his wife Selina sitting in the shade of a large jacaranda tree, at that time a landmark in Brisbane’s Botanic Gardens. 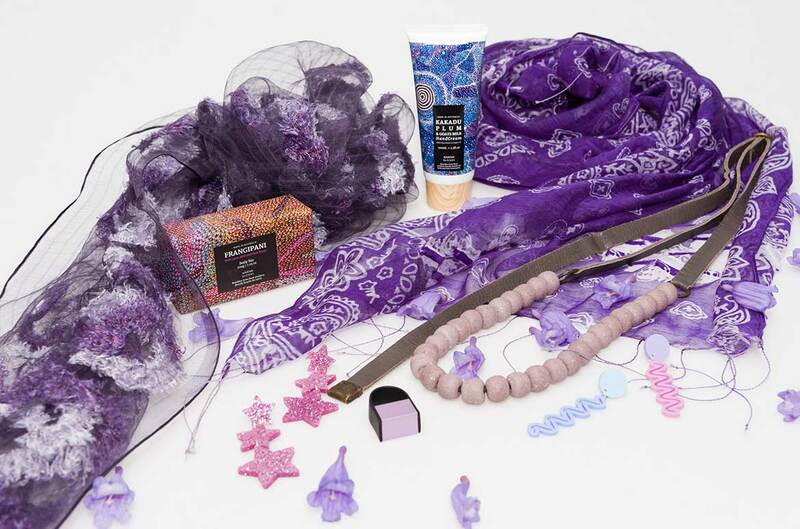 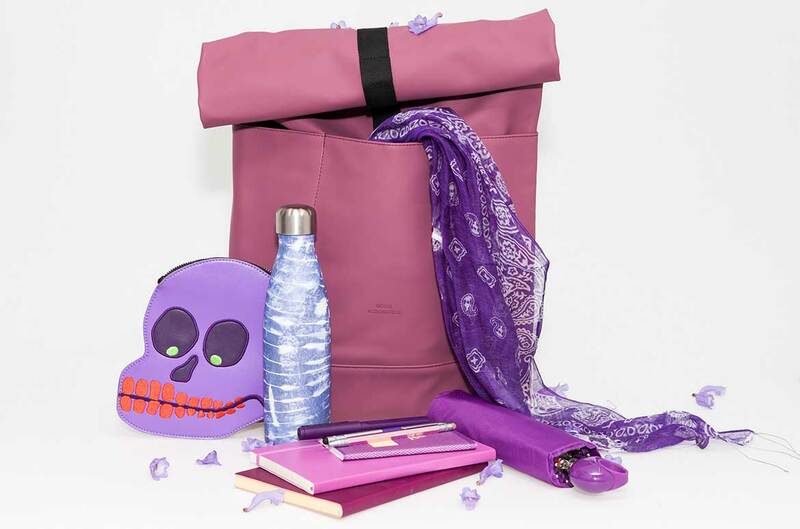 From October, streets and gardens are awash with the magnificent purple-blue blooms of jacarandas creating a colourful carpet of fallen flowers, so while Brisbane is in glorious bloom, we’ve rounded up our Under the jacaranda merchandise and some of our favourite jacaranda-hued finds from our QAGOMA Stores so you can continue to bask in springtime all year round. 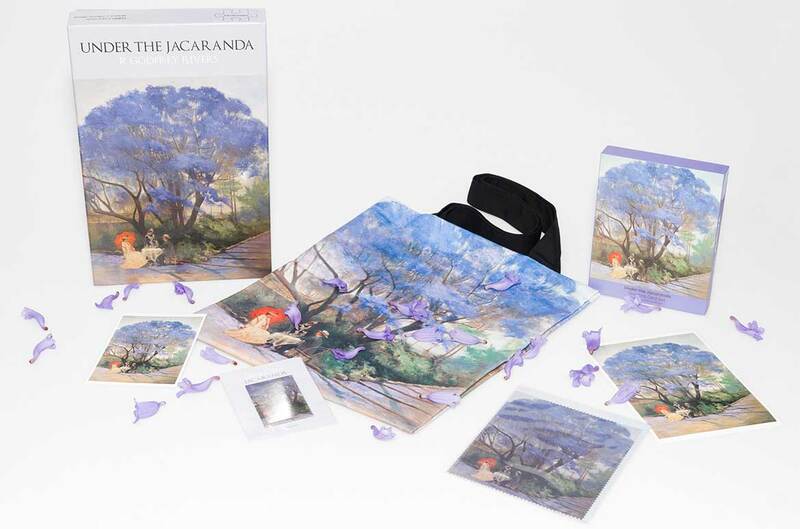 Left to right / 1000 piece Jigsaw Puzzle RRP $27.95 / Small Postcard RRP $1.50 / Magnet RRP $5.95 / Tote Bag lined with a durable water resistant fabric RRP 29.95 / Lens Cleaning Cloth RRP $6.95 / Large Postcard RRP $2.50 / Greeting Card Box Set containing 12 blank cards (6 cards of 2 images) and envelopes RRP $24.95 / Tea Towel (not illustrated) also available RRP $24.95 / Available in store with selected products online. 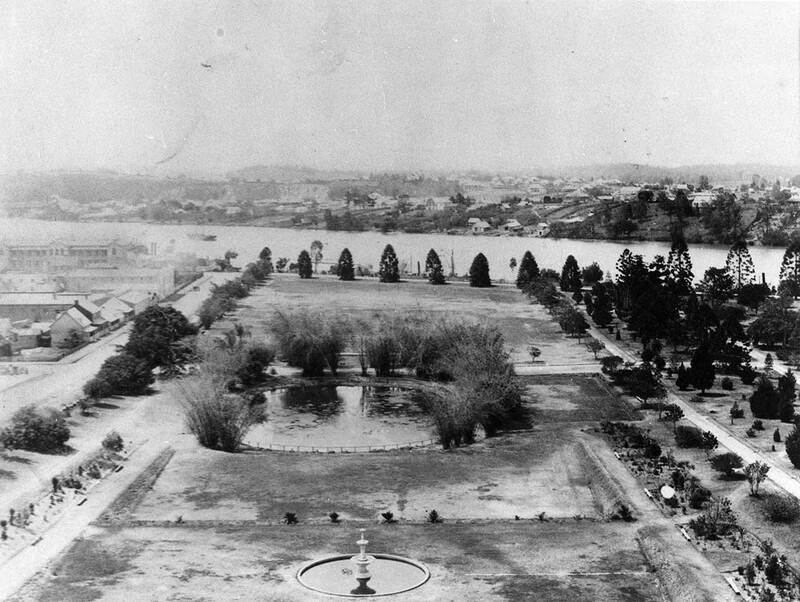 In the 1850s Queensland was sending wheat and grain to South America and on their return ships would unload at the Kangaroo Point cliffs wharfs and the first Superintendent of the Brisbane Botanic Gardens, Walter Hill, would row across the river and exchange seeds and plants. 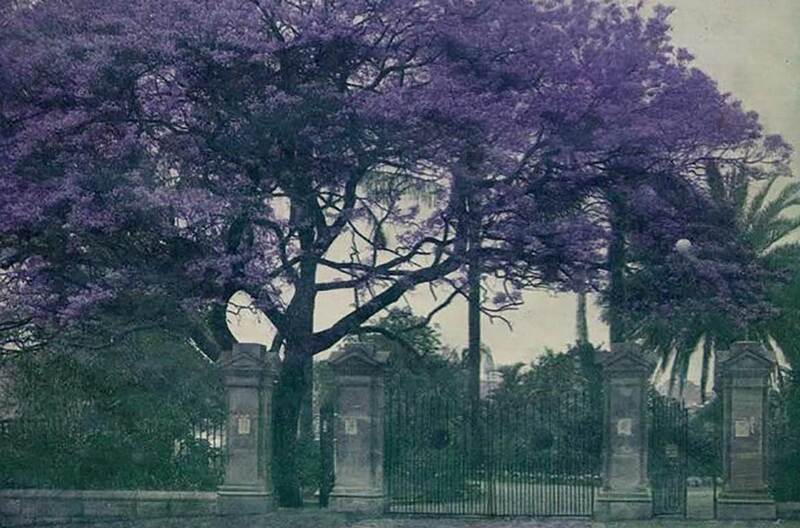 One of these visiting sea captains from South America gave Hill a jacaranda seed, which he planted at the rear of the Botanic Gardens in 1864, this is acknowledged as the first jacaranda tree grown in Australia. 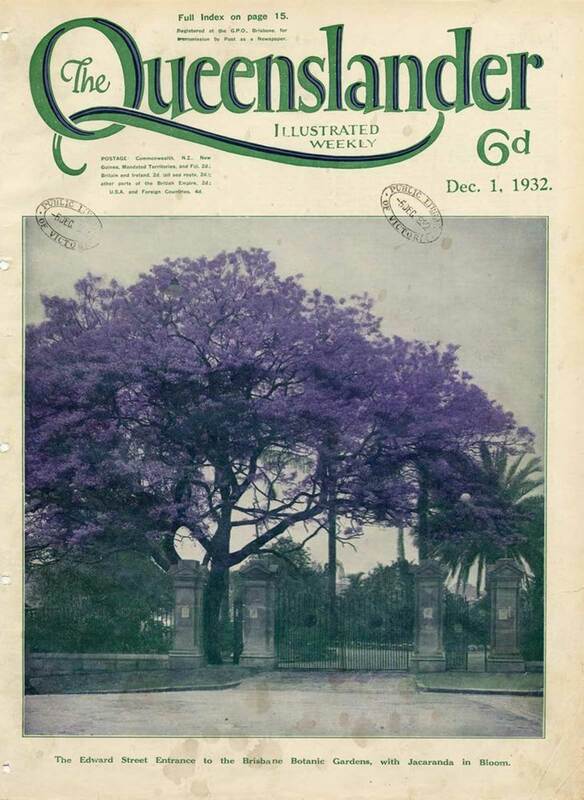 Little did Hill realise that the species would be established as a Brisbane icon, with jacaranda trees now growing in most suburbs, many of these older trees grown from the seed of this first jacaranda.